Picture this: You reach down to pick up a Lego brick that your daughter left on the floor. When you go to stand, you’re crippled by pain that shoots down your lower back and sends water to your eyes. Back pain can strike suddenly, and it can last a long time, leaving you not only unable to do the things you love but unable to complete mundane, everyday tasks. Of course, chronic back pain isn’t caused by bending over to pick up one small toy. Typically, it’s caused by repetitive actions and poor posture, and the real key to avoiding chronic back pain is to prevent the problem in the first place. But when that fails and you find yourself fighting an uphill battle against chronic back pain, massage can be a game-changer. Massage is a scientifically proven technique to help relieve pain. One of the major reasons our bodies experience pain is because our muscles tighten and spasm. Another is that our nerves get pinched. Massage relieves both of these problems by encouraging the body to relax and release. It also increases your body’s circulation, which in turn can reduce swelling around sore sites. Teaching your body to relax through massage can help with other issues as well. There’s an emotional element to relaxation, the results of which can include a better night’s sleep. When you sleep better, you naturally have more energy. This can reduce the amount that you slouch over your desk, barely able to keep your head up and increase the amount that you choose to stand and walk about the office instead. This can create a positive feedback loop, where the more that you begin to feel better with massage, the more you can continue to feel better by implementing healthy habits. What If You’re Low on Time? We get it: Life is busy. Sometimes, you can’t take an hour out of your work day to get a professional massage. While professional massages are by far the best option to help relieve chronic back pain, there are ways you can help reduce your pain levels and make it through until you can get to a professional masseuse. Massage chair pads can help you reap the benefits of a massage even while sitting in your office chair, and handheld massagers can help you experience the relief of massage without relying on another person for help. Heating pads and aromatherapy are other great options to help you make it through a busy season until you have time to seek a professional’s assistance with your chronic back pain. 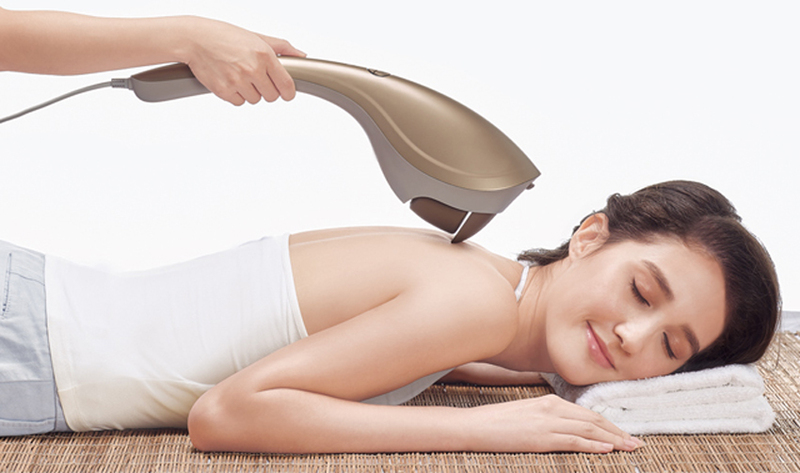 You can also try seeing if a neck or shoulder massager can help you relax enough to use other massage apparatus. You finally get your back pain under control. You’re sleeping better, you have more energy, and you’re feeling like your old self again. Should you stop getting massages at this point? If you do, will your back pain return? Our health care system relies on people getting sick and medical professionals trying to fix them, but the truth of the matter is, if we focused more on preventative health care, fewer people would get sick in the first place. Massage can absolutely be used preventatively. Preventative massage can keep your back from going into spasm in the first place by ensuring your muscles remain loose and pliable over time. Additionally, stress is a naturally-occurring part of everyone’s life that massage can help to alleviate. Increased circulation levels caused by massage can keep your body from swelling, which can even help with conditions like arthritis that you otherwise have no control over. Chronic back pain can be a debilitating condition. Unfortunately, the more that people take to desk jobs that encourage all-day sitting and poor posture, the more often this condition is going to crop up. Instead of letting chronic back pain rule your life, it’s important to get control over the condition—and over your body. Making massage a part of your daily routine can keep your muscles and nerves loose and functioning. This can help you sleep, it can help you do your everyday tasks, and it can improve your overall quality of life.